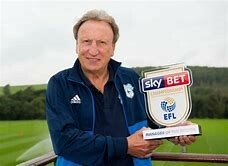 "Every Warnock side will have five or six players who run the dressing room and he will, generally, leave them to it unless he feels he has to get involved....one Thursday he pulled me into his office and told me he was going to slaughter me in practice the next day...he explained that standards were slipping and if he went for me, a senior player, he felt it would put the frighteners on the rest. By the end of the training session, the whole atmosphere had shifted. Standards were back to where they should be."